Hyundai has offered an early glimpse of its next generation fuel cell vehicle, well ahead of the hydrogen-powered SUV’s official launch early next year. At a special preview event held in Seoul, Hyundai said the yet-to-be-named model embodies its commitment to a new era for advanced eco-friendly vehicle development with its advanced fuel cell technology boosting range, performance and durability. The high-tech look of the FCEV is augmented by low-drag elements that accentuate the clean and calm design. The door handles sit flush to the car, while the air curtain – in conjunction with the air tunnel inside the D-pillar – maximizes aerodynamic efficiency. The SUV’s wheel design aims to capture both captivating style and optimized low drag airflow with a specialized two-piece construction. The clean and simple interior layout avoids clutter thanks to the wide dashboard with its high console. This reinforces the superior SUV-style driving position and incorporates the ergonomically-designed intuitive controls and AV display screen. 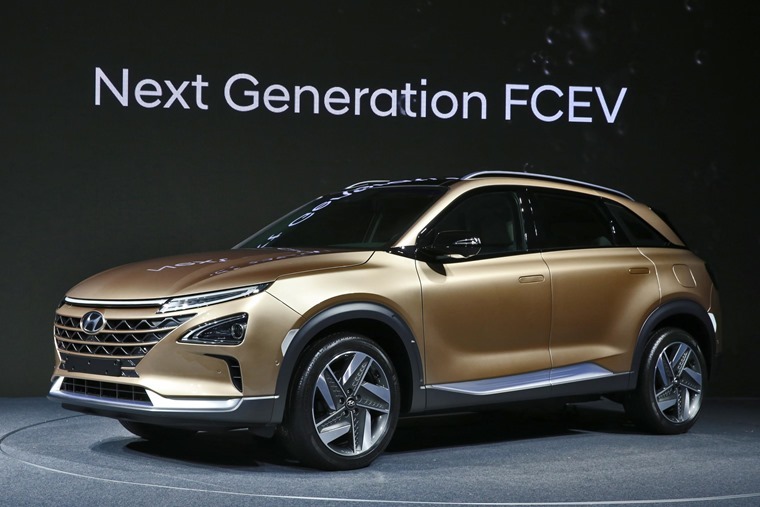 As one of the few manufacturers actively developing hydrogen fuel cell technology, the new SUV previews Hyundai’s second commercially produced hydrogen model and uses the company’s fourth generation of hydrogen fuel cell technology. Developed on four key pillars that focus on fuel cell system efficiency, performance, durability, and tank storage density, the vehicle reinforces the company’s leadership honed through the world’s first commercial production of a fuel cell vehicle in 2013. By enhancing fuel cell performance, reducing hydrogen consumption, and optimizing key components, the vehicle’s efficiency is greatly improved compared to its predecessor, the ix35 Fuel Cell. 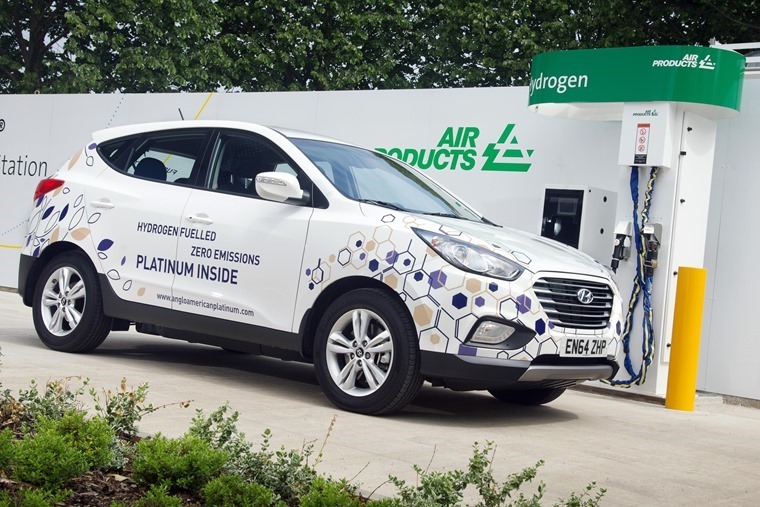 Range has long been a concern with hydrogen, especially due to the woeful lack of fuelling infrastructure in the UK, and the new SUV allays those fears a tiny bit by boasting an efficiency level of 60%, or a 9% increase from the ix35’s. That means the new model targets a driving range of 800km on a single charge based on New European Driving Cycle standards. The fuel cell SUV also improves the car’s cold start capability, overcoming the challenges of starting fuel cell vehicles in temperatures below freezing point. The vehicle’s architecture is optimized to allow it to be started at -30 degrees Celsius (22 degrees Fahrenheit), by incorporating key components in the fuel stack. The new model’s maximum output is therefore enhanced by 20% compared to its predecessor, boasting an impressive 163PS of power. The next generation hydrogen vehicle also makes significant improvements in tank storage density, with three equally-sized tanks, as opposed to two of different sizes. 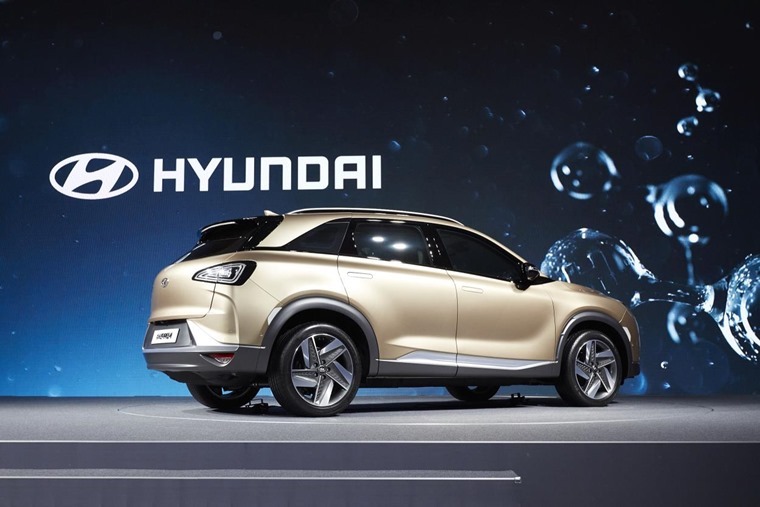 “With exceptional efficiency, serene styling, and uncompromised performance, our next generation fuel cell SUV is the true epitome of an eco-friendly vehicle of the future,” said Lee Ki-sang, senior vice president of Hyundai Motor Group’s Eco Technology Center. The new model will spearhead Hyundai Motor Group’s renewed goal of introducing 31 eco-friendly models (Hyundai Motor and Kia Motors combined) to global markets by 2020. 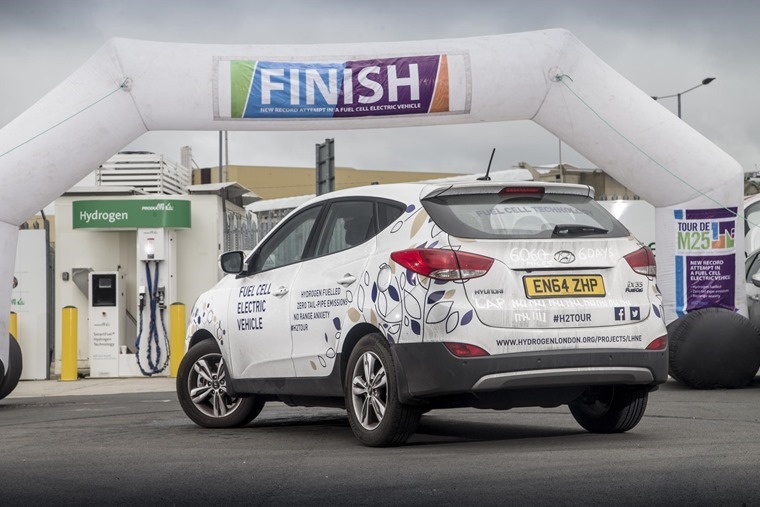 This new development roadmap also represents the next step for Hyundai and its affiliate toward realizing the ultimate ambition of creating a cleaner environment through eco-friendly vehicles. Furthermore, Hyundai will develop its first dedicated architecture for pure electric vehicles, which will allow the company to produce multiple models with longer driving ranges. Hyundai will reveal the new hydrogen SUV early next year in Korea, followed by the North American and European markets at a later date.